For instance the famous line of Russell with his immigrant Indian-Canadian father embarrassing moments and how he enjoy hanging out with cool white kids. Also the jokes about marriage and different nationalities culture will make you laugh till you drop. With live audience fun interaction, those humors were actually cool and winning. They are like concerts superstars I mean . Fluffy guy Gabriel Iglesias was also so cool. He narrates how Mexican's rob a bank with authority. I think he will make a back to back cool tandem with Russell. He sound like a cool Mexican to an Indian guy. The bank wont give the Indian the bank money, when he pointed out the gun to the cashier because they taught the Indian guy were tech support. Also how middle east request coming from a Prince. And the money was wired all over from Saudi Arabia. And flew 17 hours with friends Osaba Bin Lopez and Filipino friend. With a VIP trip in a Lincoln Navigator in Riyadh. With great voice, action and cool body language. As they saw him in youtube videos as #2 comedian in middle east. Also the cool Magic mike story Channing Tatum hollywood hot guy male strippers. 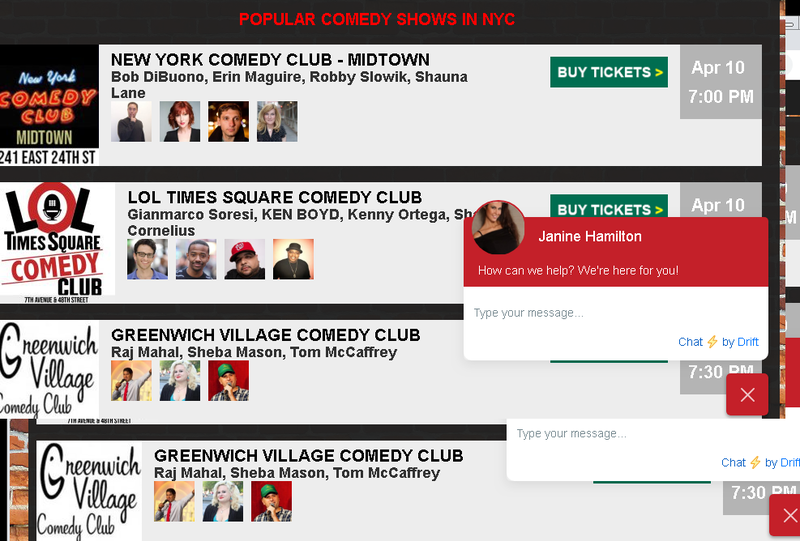 So long buy comedy tickets in NYC and see for yourself how they (group of comedians) perform. From different NYC comedy clubs. Aside from watching the NY Yankees, taking the subway or any Broadway show. Enjoy the trip with NYC comedy shows as it boasts as the hottest comedy clubs in the world as a National happy entertainment hotspot.